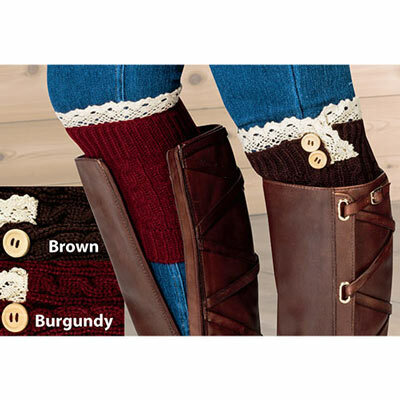 With an eye toward today's fashion, these charming Boot Cuffs not only keep you on trend, they also change up the look of your favorite boots! Cozy knitted polyester with crocheted lace tops can be worn inside boots or on top of half boots. Gives a polished look to the traditional jeans and boots combo. A great gift idea, too! Machine wash. Imported. One size fits most. 8"h. Hurry! Quantities are limited!